Accurate information is key to successful dental and oral care. People with less knowledge about proper oral hygiene are more likely to face problems in the near future. You may know all about brushing and flossing. However, this might not be enough to ensure absolute protection from diseases. You may not be doing it the right way. These slight lapses can lead to heavy concerns. That is why it is very important to seek guidance regarding your dental and oral health. What is Oral Hygiene Instruction? It involves a comprehensive set of dental and oral care tips. This is not simply about the basic dos and don’ts. The Oral Hygiene Instruction presents you far more detailed concepts. It aims to educate you about the exact needs of your teeth and gums. From choosing the right toothbrush to the importance of regular dental checkups. Not only that, it also allows you to devise an oral hygiene regimen that suits your unique individual needs. Oral Hygiene Instruction can cover both treatment and prevention of oral problems. Under the Oral Hygiene Instruction program, you get to know the accurate information directly from our dental hygienists. You become more familiar with the things that you must be reminded of. This includes the correct choices in food, drinks, habits, and dental care products. It is wise to choose those that do not harm your teeth and gums. Also, the program teaches you the proper way of brushing and flossing. Furthermore, Oral Hygiene Instruction explains the possible consequences of improper oral hygiene. Here, you learn the exact risks connected with poor dental and oral health. From the simplest toothache to complex diseases like diabetes and heart disease. With these valuable information, you become more aware of the things that need to be done. This knowledge must then be applied. The awareness that you acquired allows you to make the necessary adjustments. 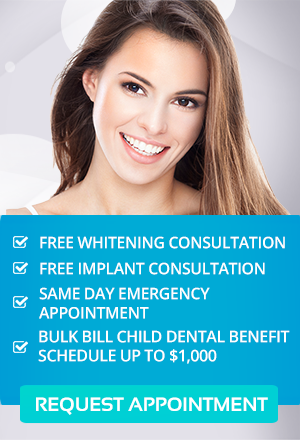 We can design a complete oral hygiene program that perfectly fits you. Of course this includes correct brushing and flossing. Yet, the changes are not limited to just that. Your diet and other aspects of your life are included as well. Too much sugars, too much acidic foods, and smoking must be avoided. Also, drinking water is good for your teeth and gums. All in all, Oral Hygiene Instruction encourages you to actively participate in this effort. It guides you in developing a lifestyle that upholds not just your dental and oral wellness but your overall health as well. In essence, Oral Hygiene Instruction in our Toorak Dental Practice in Melbourne is a great way to improve your entire well-being. Our dental hygienists are committed to giving you sincere and accurate guidance in oral hygiene.